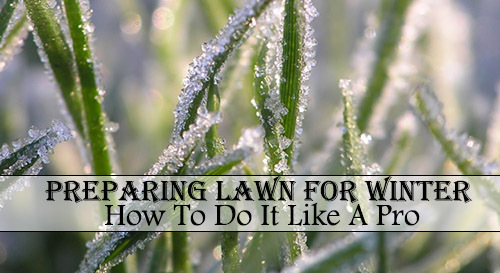 Just as you have to prepare for the snowy cold season, your lawn needs to prepare too. Don’t just leave them as is if you want them to thrive for spring. No worries though, the steps are not rocket science. Preparing lawn for winter doesn’t need to be done by a professional. In this article, we’ll show you a step by step guide to ensure that your lawn will revive to its green splendor when the cold days are over. You don’t need to spend plenty of money too. You just need the right techniques and patience. Remove debris on your lawn before it gets covered with snow. 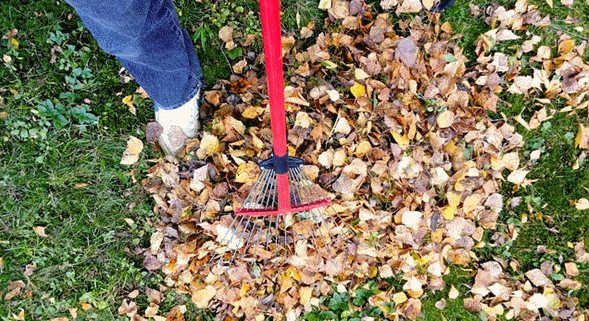 Using a garden rake or a lawn sweeper, collect all fallen leaves, thatch, and other materials. Leaving them in place will impede the sun from nurturing your lawn. It will also harbor fungi and pests. Pull up weeds. If the weeds are not uprooted before winter, the seeds will have a chance to germinate and they will multiply during spring. 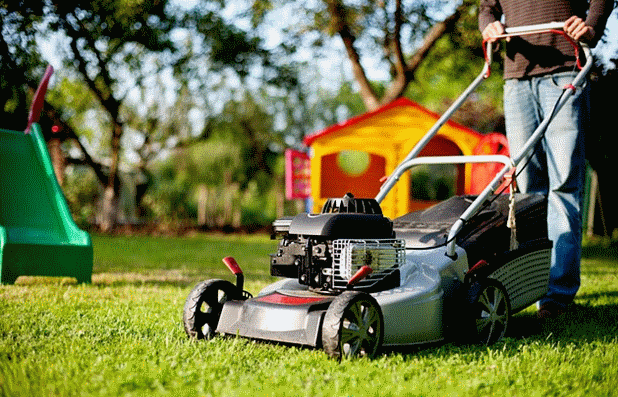 Inspect all parts of your lawn to ensure that you don’t miss a spot. Grasses grow more slowly during fall but that doesn’t mean that you have to stop mowing. Continue cutting of the grasses every 10-14 days. Before fall ends, set your lawn to its optimum height. Grasses left with a height too long will impede the sun from reaching the roots. Meanwhile, leaving it too low will scorch your lawn. As a rule of thumb, the ideal length for the grasses to thrive in winter is 1.5 inches in states with warmer winters and 0.75 inches in States with very cold winters. Aeration is another important preparation of your lawn for winter. You can use a manual or motorized aerator. If you don’t have a very wide lawn, you can simply use an aerator shoes. You’ll be able to take care of your lawn while having a good workout session! Before starting, mark your underground irrigation system and other buried utilities with flags to ensure you don’t damage any of it while aerating. If your lawn is very compact, walk for 2 rounds on your lawn. For lesser compact lawn, one round of aeration is enough. Follow the pattern you use when mowing. You should make 20 to 40 holes for every square foot. Give your lawn the chance to rebuild itself by doing repairs before the cold season sets in. This will allow you to have a healthier and greener lawn when springtime comes. Clean the bare area. Remove the dead turf and all debris until only the bare soil is left. Rake the spot to even the soil and make it fine. Spread a thin layer of seeds directly to the soil. Carefully rake the seeds within the top soil. Cover with straw to lock in moisture and protect the grass seeds from birds. Keep your family and pets off your lawn until your new grass has established its growth. You don’t need to be watering your lawn frequently due to the cool weather. If you’re in a warmer state, reduce the frequency and duration of your sprinklers. For states with cool winters, disconnect your irrigation system. 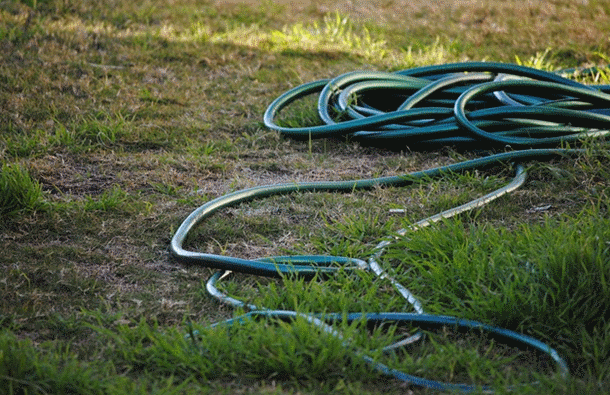 This way your hose won’t end up freezing when winter comes. Your lawn deserves to be well prepared before the first snow starts to fall. Just because you won’t be using the lawn for winter doesn’t mean you can leave it as it is. Cleaning up your lawn, ensuring your grasses have the right length, aerating your lawn, covering patches and controlling irrigation are all essential for your lawn to thrive in winter. Be careful not to remove the snow coverage on your lawn during winter. The snow will provide a good insulation to your lawn from the cold air. Did you enjoy this tutorial? Let me know what you think in the comment section! If you liked this article, feel free to share it! Are these 8 common mistakes creating a tomato timebomb in your garden? It’s an remarkable piece of writing in favor of all the internet users; they will obtain benefit from it I am sure.